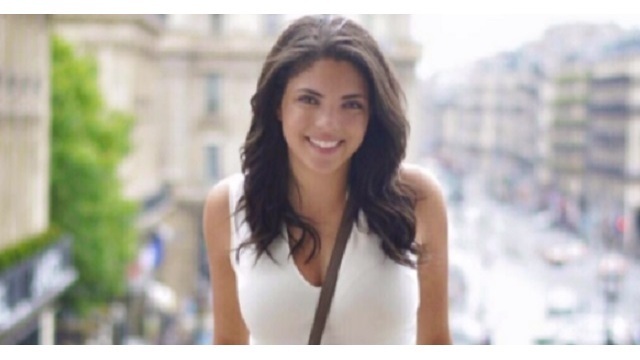 PORTLAND, Ore. (KOIN) -- Just weeks before graduation, a Portland native attending Fordham University fell to her death after climbing the university's iconic clock tower. Sydney Monfries lost her footing and fell 30 feet after she and her friends snuck into the Keating Clock Tower around 3 a.m. Sunday. Police said it appears a group of students were climbing stairs when the victim fell through a hole in one of the stairway landings, CBS News reports. She graduated from Jesuit High School in Beaverton 4 years ago, and the high school president said she was a treasured member of the Class of 2015. Students and staff are heartbroken by the loss and grieving along with her family. The journalism major at the New York university was set to graduate this spring. Students at Fordham said seniors sometimes break into the clock tower as a rite of passage. "It's like a tradition, apparently for seniors to sneak into the tower and climb up, and they were, like, trying to get good views of the city," student Antonia Greene said. There haven't been any falls at the clock tower before this. Fordham University officials said Keating Hall and the door to its clock tower are always locked. How the students gained access to the building and tower remains under investigation. But there will be no disciplinary action against any students who were in Keating Hall with Monfries on Sunday, university officials told KOIN 6 News on Monday. Sometimes in the past, university-authorized tours of the tower were given in part to tamp down curiosity about what was inside. University leaders also expressed their sadness and plan to present her Bachelor's degree to her parents. The entire Jesuit High School community is deeply saddened by the death of Sydney Monfries, a treasured member of Jesuit High School's Class of 2015. Sydney was a very special member of our community, beloved for her spirit of kindness, generosity and compassion. She was a true gift to our community, a blessing beyond measure for all who had the privilege of knowing her. We are heartbroken by her loss, and our community grieves with the Monfries family. Our prayers and deepest condolences are with Sydney's family and friends. Our hearts go out to them during this time of unimaginable loss.